Killer Mike is one celebrity not jumping on board with the March for Our Lives rally, explaining his stance in a new interview with NRA TV host and guns rights activist Colion Noir. Throughout the six-minute video, the Run the Jewels rapper speaks out in support of gun ownership while also offering his own criticisms of the march and the recent nationwide walk-out. "I told my kids on the school walkout: 'I love you—if you walk out that school, walk out my house…' We are not a family that jumps on every single thing an ally of ours does because some stuff we just don't agree with," Mike said, speaking on why he and his family didn't participate in any of the recent anti-gun violence protests or walk-out. Elsewhere throughout the conversation, he speaks on anti-gun protesters, offering, "You're not woke! You can't continue to be the lackey. You're a lackey of the progressive movement, because you've never disagreed with the people who tell you what to do." The rapper also explained his involvement with community meetings, adding, "If there is a table to be sat at, the gun owner needs to be there." See Killer Mike express his pro-gun stance, as well as see some reactions, below. killer mike is the reason all of those ppl cling so desperately to their assault rifles in the first place. a 6' tall, 300 lb black man is PRECISELY the driving force behind white anxiety. his very existence is EVERY irrational fear made manifest. Killer Mike endorsing the NRA shouldn't be surprising, he's been rapping like a Russian Bot for the past 5 years with Run The Jewels. If Killer Mike wants to talk about Black gun ownership, that's a valid issue, but why not tout Black gun ownerships groups, not the NRA. nra: thanks for being in that video, mike. killer mike: you're welcome. so let's talk about black gun ownership. 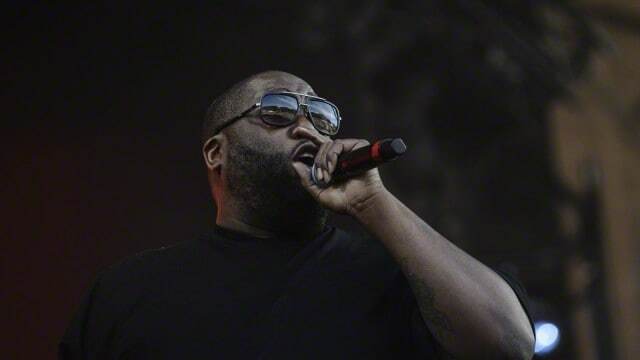 One thing on Killer Mike: So, I love him. Always have and always will. I don't mind him not being as enthusiastic about gun control as we are. However, I wish he would not appear in NRA videos. They are using him. The NRA is a death cult that makes money off of dead children. Me: Oh dope, Killer Mike is one of my favorite rappers. Lemme see what's going on. Twitter: You see the NRA TV video he did? Eminem addresses criticism in "Fall"